When Aaron Feuerstein took control of fleece and textile manufacturer Malden Mills in 1957, he represented the third generation of Feuersteins running this Lawrence, Massachusetts-based company with a reputation for being a great place to work. But his compassion would be put to an incredible test in December of 1995. 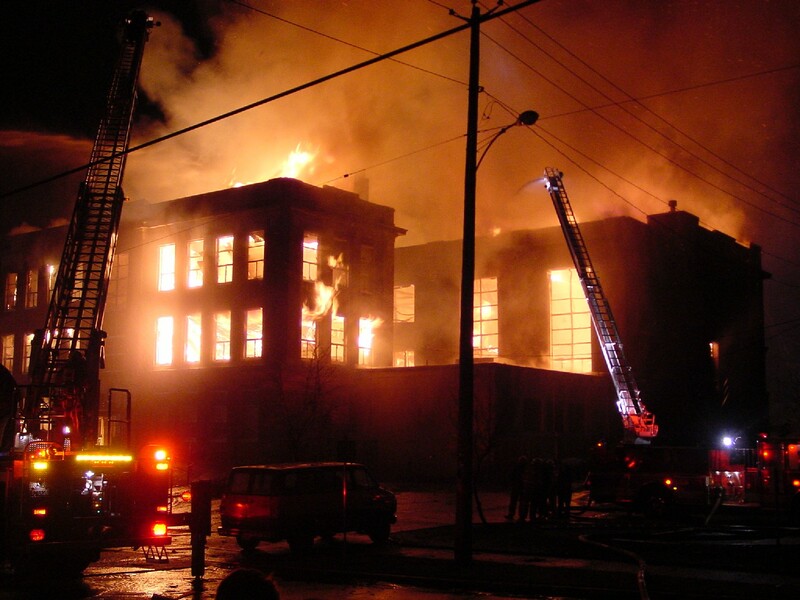 At approximately 8:00 on the night of December 11, a boiler exploded at the mill. It was so powerful that it broke gas pipes in the building. The fire, fueled by the gas and the chemicals used in textile manufacturing, spread very quickly. Employees ran out of the buildings. More than 30 of them were injured, several quite badly. The fire became so powerful that even the efforts of the over 200 firefighters on the scene were essentially futile. The fire raged out of control the entire night, with flames reaching heights of nearly 50 feet. By the time it was out the following morning, Malden Mills had burned to the ground. The company had a $300 million insurance policy in place for the building. Aaron Feuerstein could have simply ended company operations or closed the Lawrence location and moved to a much less expensive location, as many of the former Lawrence-based mills had done. Almost immediately, though, Aaron announced that he would rebuild the Lawrence location to ensure that the community would not lose one of its largest employers. But he did more than that. He demonstrated a level of compassion that is almost unheard of in the world of business: He promised to pay employees their full salary while the building was being rebuilt, and he kept his promise. When construction was delayed a couple months later, he announced that the people in his company would still be paid until the project was finished. By the time Malden Mills was up and running again, Aaron had spent roughly $25 million to keep employees on the payroll. Aaron Feuerstein’s compassion would bring him international attention for being a hero. His story was widely reported in the media and he was even acknowledged during one of President Clinton’s state of the union addresses. His compassion would also end up costing him control of his company as creditors forced him out and replaced him with a CEO that they felt would move more quickly in terms of getting the company back to being profitable again. Unfortunately, his creditors were only focused on the short-term results. As always, you find great examples to support your leadership view. What a heroic decision and realization that company leaders need to do more than support a bottom-line. Thanks Skip. It makes me happy to know that you are such a leader. Paying it forward, karma, giving back, whatever you want to call it. Putting your employees and team members first will always put you ahead. Thanks for the story. Check out my thoughts on servant leadership from my experiences in military and commercial. Sign up to receive Matt’s eZine and receive an excellent eBook for free!